SAINT LOUIS (August 8, 2018) – The final two stops of the Grand Chess Tour, a series of five chess tournaments held across the globe, will be played at the Saint Louis Chess Club from August 10-28. Saint Louis Rapid & Blitz, held August 10-16, will kick off the festivities with 10 of the best international chess players competing for $150,000 in prize money. The Sinquefield Cup will follow the conclusion of Rapid & Blitz, running August 17-28, and will draw global attention as World Champion Magnus Carlsen of Norway will face off against World Championship challenger, American Fabiano Caruana in the only preview before their World Chess Championship showdown in London this November. The Saint Louis Rapid & Blitz will feature 10 of the top players from around the world, along with wildcard Leinier Dominguez of Cuba, all competing for a $150,000 prize fund. The tournament is the third stop on the 2018 Grand Chess Tour (GCT), a circuit of international chess events featuring the world’s elite chess talent, created in partnership between the Saint Louis Chess Club, Chess Promotions, Ltd. (London Chess Classic) and the Kasparov Chess Foundation. The Saint Louis Rapid & Blitz headliners are U.S. players Wesley So and Hikaru Nakamura who are just one point apart in the overall Grand Chess Tour standings. Russian Grandmaster Sergey Karjakin is close on Nakamura’s heels, behind by just one point, making this last fight in the faster time controls monumental for the tour standings. Joining the battle will also be former World Blitz Champion Dominguez as the tournament wildcard. Between the two tournaments, the Saint Louis Chess Club will host an Ultimate Moves Exhibition match with all players on August 16 at 1 p.m. 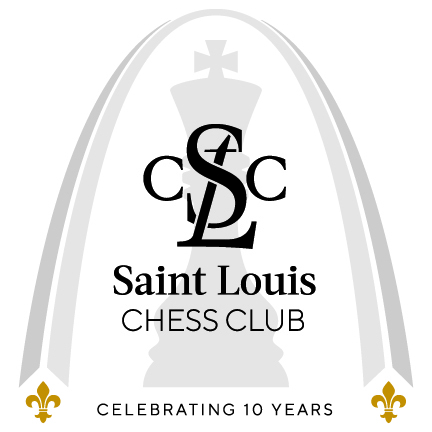 The event will include Saint Louis Chess Club founder Rex Sinquefield and special guests in a team vs. team matchup. All tournament players will compete in this fun-spirited event where players swap out after every move and are allowed to talk amongst each other and their opponents throughout the match. The Sinquefield Cup will be the last official stop of the Grand Chess Tour. French Grandmaster Maxime Vachier-Lagrave will return to defend his title against the strongest players in the world, including wildcard and current World Champion Magnus Carlsen of Norway. Carlsen will face off with World No. 2 Fabiano Caruana, marking the last time the two will meet until the ultimate showdown at the World Chess Championship in November. The Sinquefield Cup has a larger prize fund than the other Grand Chess Tour events at $300,000 and offers more tour points to the winner. After the results of the Sinquefield Cup, the top four players will move on to the Grand Chess Tour finals in London. Entering the Saint Louis Rapid & Blitz and the Sinquefield Cup, two Americans - Wesley So and Hikaru Nakamura - sit atop the leaderboard. In addition to the elite Saint Louis Rapid & Blitz and Sinquefield Cup tournaments, the U.S. Championship and U.S. Women’s Championship, and the U.S. Junior and U.S. Girls’ Junior Championship, make up the most prestigious chess tournaments held in the United States each year – all held at the Saint Louis Chess Club. GM Hikaru Nakamura 2812 2824 2913 30 U.S.
GM Fabiano Caruana 2785 2738 2709 26 U.S.
GM Wesley So 2794 2852 2800 24 U.S.
GM Hikaru Nakamura 2812 2777 30 U.S.
GM Fabiano Caruana 2785 2822 26 U.S.
GM Wesley So 2794 2780 24 U.S.